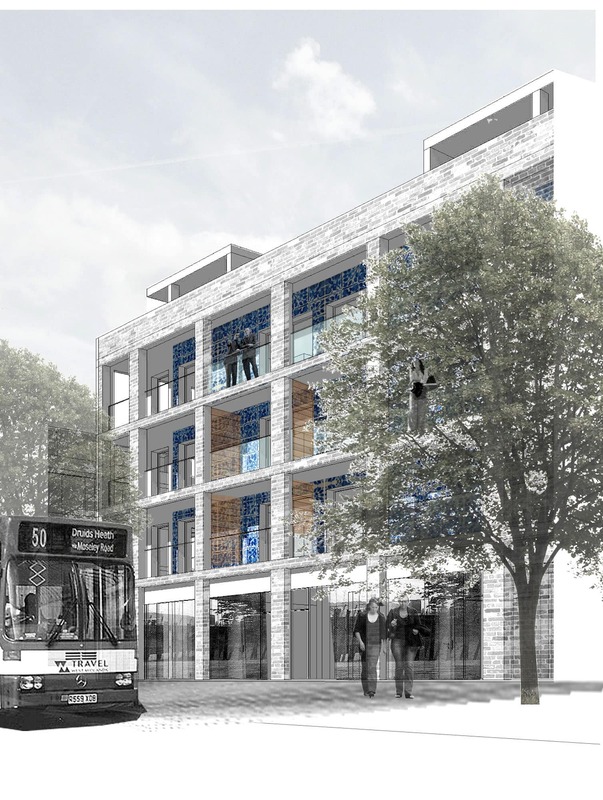 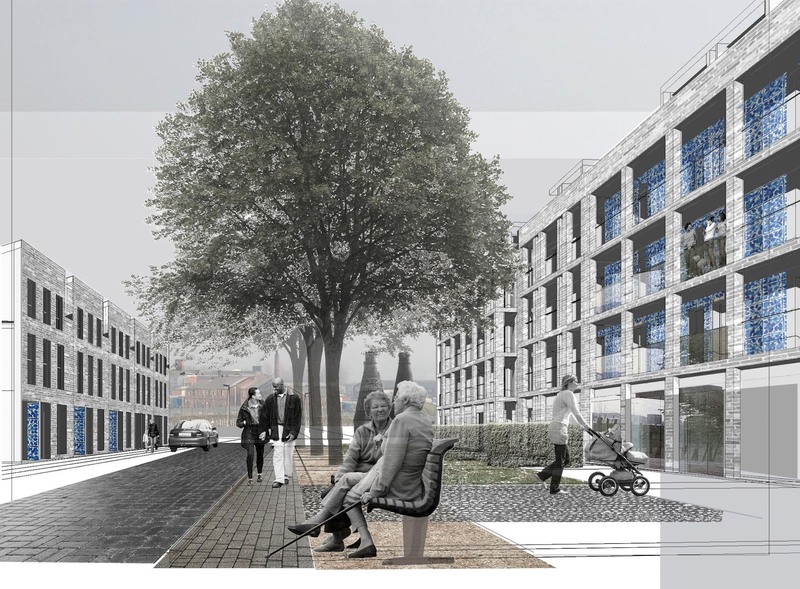 This proposal is for a new neighbourhood within a regeneration area close to Hanley City Centre in Stoke-on-Trent. 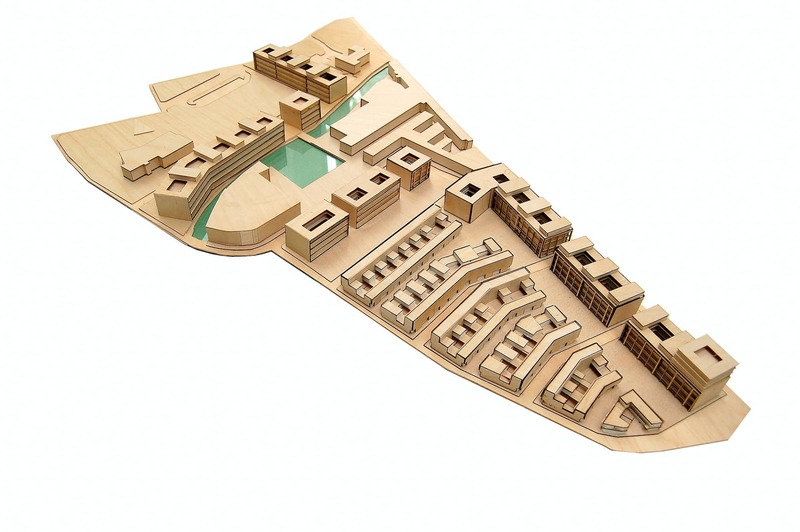 The design was developed for the Europan 9 competition. 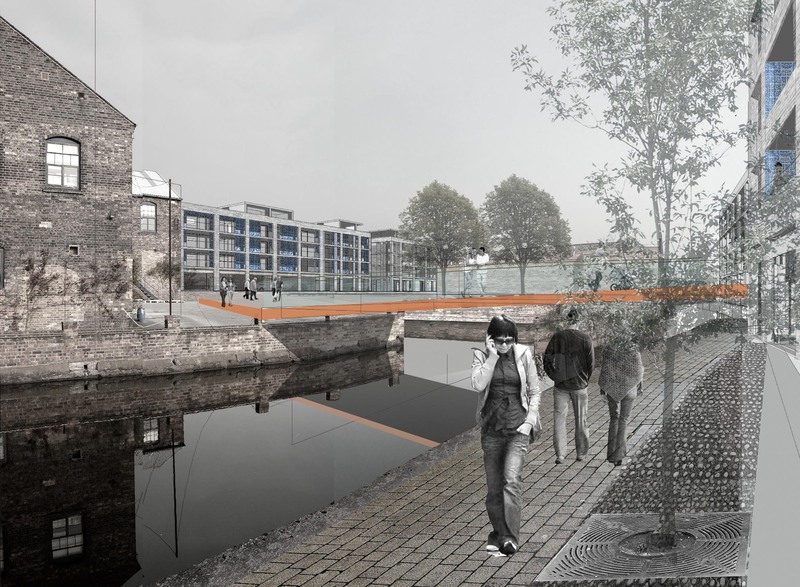 Our project sets out to provide a new model for a sustainable urban neighbourhood, that takes advantage of the area’s waterside location and provides a new focus for Stoke’s growing creative and knowledge-based economies. 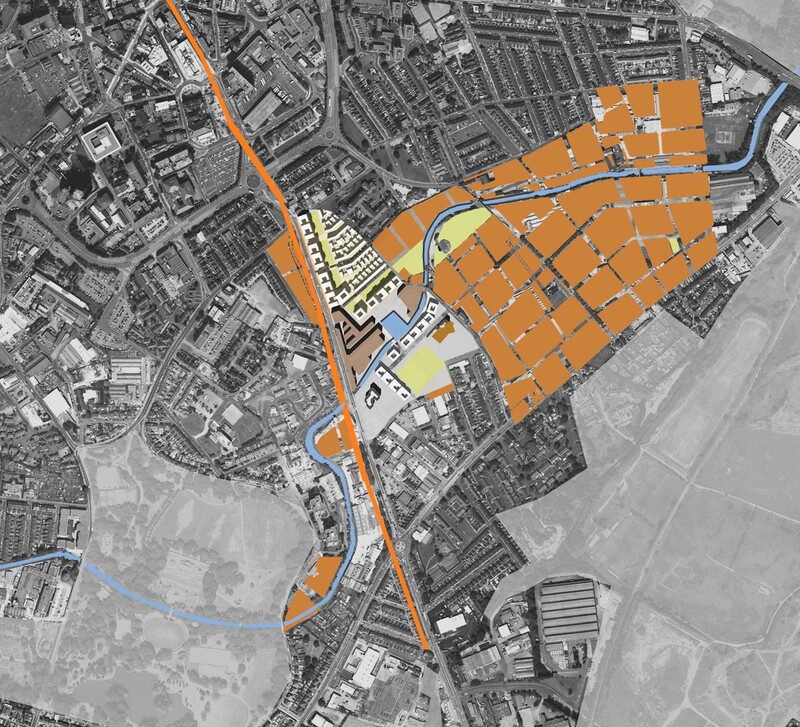 The proposals provide opportunities for new business, creative and leisure activities as well as providing a core of innovative urban housing. 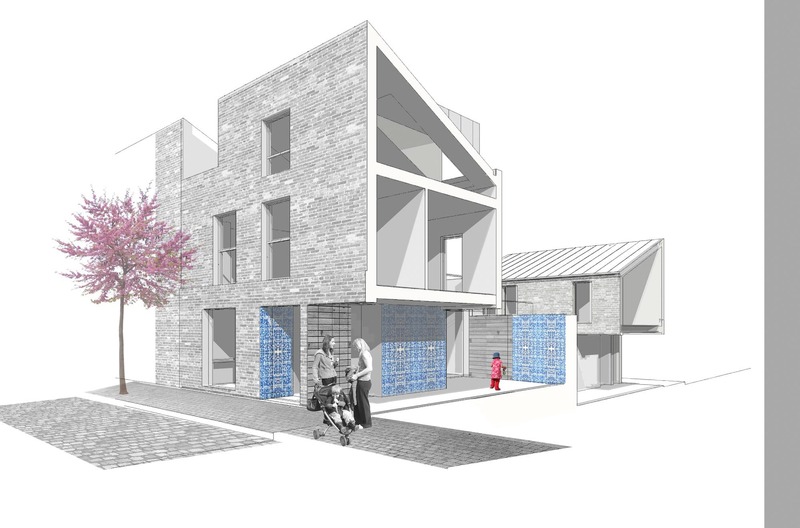 The identity of a neighbourhood is defined just as much by its open spaces – courtyards, streets, squares, as by its buildings. 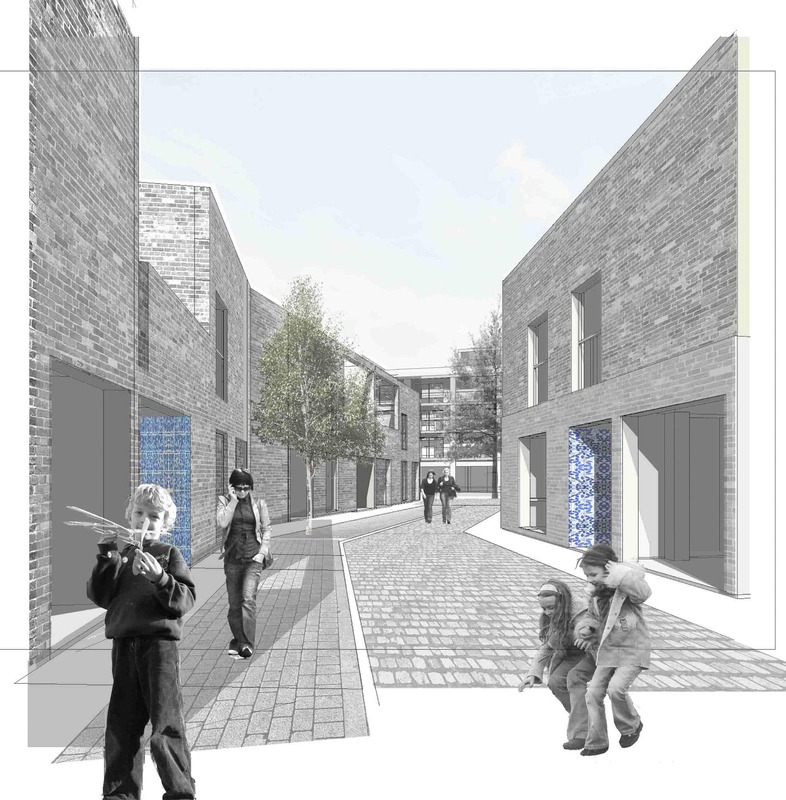 Our project seeks to develop a series of strong and clearly defined open spaces as a setting for a rich and vibrant community life, moulded by a coherent backdrop of urban housing.